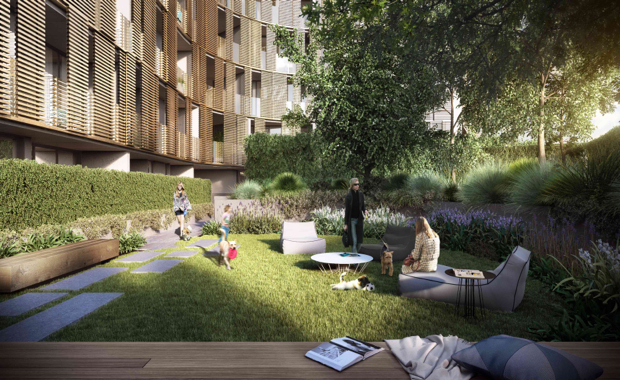 Adelene Teh is making a name for herself on the Melbourne property scene after launching Gardenhill - the first development in Australia to have its own dog off leash park - earlier this year. 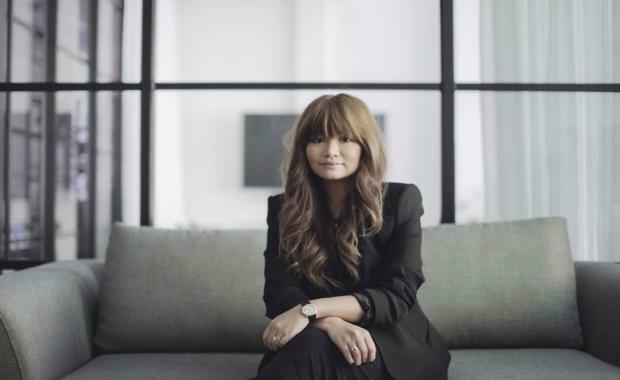 The daughter of Malaysian developer, Datuk Teh Kean Ming, Teh has attributed much of her passion and interest in the property industry from her father who has been in the sector for over 35 years. After graduating from the University of Melbourne with a Master's degree in architecture she co-founded Beulah International, which is rapidly moving from boutique developments to a series of high profile projects, continuing their mission to deliver exception luxury homes to the Australian market. How did you get your start in property development? I was born and raised in Malaysia and my father was, and still is, in the property development and construction industry. I then moved to Australia and completed my Master’s degree in architecture. I attribute a lot of my interest in property and design to my father, who is incredibly dedicated and passionate about what he does. I have always been passionate about creating something from nothing, and seeing ideas come to life. Changing the built environment and improving the community’s lifestyle and amenities was something that really appealed to me, so therefore there was no better way to achieve this than to be a property developer myself! What drives you – has there been someone or something that has inspired your career? My father has been a huge inspiration to me and has greatly influenced my career path. He has been in the property development and construction industry for over 35 years and growing up; he would take me for walk-throughs on project sites and explain the details to me. What drives me today is seeing a built product, something that adds value to the surrounding landscape as well as to the lives of the residents. As a developer, how do you set yourself apart from other companies? By not being afraid to push the boundaries. Our vision as a developer has always been to transform a space into something people will enjoy and something that will add value into their lives, rather than just use. It’s in our culture to always push the boundaries and not accept what’s considered normal and safe. My dad has always tried to do things differently and that’s what inspired us to put a dog park in our Gardenhill development. What are some of the challenges you have faced in your industry? It’s been challenging to try and be different and innovative in the industry to set ourselves apart, while still maintaining and balancing the overall cost, the quality of the project and the project's timeline. It’s also challenging trying to balance the affordability from a buyer’s point of view, while getting the best outcome/value for our clients. Also as a young female developer in a male dominated industry who are experts in their own respective fields, it’s sometimes difficult to get what we want and achieve our vision, while coming up against different individual opinions and interests. What projects do you have in the pipeline now? We are currently planning a few projects in the eastern suburbs, unfortunately these are confidential at the moment. What is your favourite project that you’ve developed and why? My own home which I have designed myself as it is my own personal space where I unwind, relax and gain inspiration; and is special to me as I’ve handpicked everything myself and designed it to reflect my own personal taste, without having to worry about what others would or wouldn’t like. My career highlight so far has been starting Beulah International with my other cofounder and working incredibly hard towards achieving our vision, and although we are quite young and fresh to the industry, we’ve been getting great feedback and results and we’re very encouraged by that. We believe this is just the beginning for the company, and can’t wait to contribute more and see more of our work make an impact. If you could go back in time, is there anything you would do differently? What piece of advice would you give yourself? I think whenever you're starting something new, whether it be a new development, a new business venture or even a change of pace, there's always going to be apprehension due to the unknown. The biggest problem when starting something new is to avoid being swayed by others' thoughts and opinions, as ultimately, you know yourself the best and if you want something, you just need to give it all you've got. I would tell myself to listen to my gut instinct more sometimes, but so far I am thankful everything has been going well and I'm really enjoying the path I'm currently on. What’s your long-term vision for your company? Our long-term vision is to be one of the leading property developers in the industry, on a worldwide scale. Our vision is dedicated to creating quality developments that will change people’s lives, the community and the surrounding landscape. Apart from those by your own company, what do you think are the best projects in the world at the moment? The project my father incepted: the Light - An award winning waterfront development in Penang that features a big self-sustaining marine ecosystem, the first of its kind in a residential setting. The Highline in New York - converting old unused railroad into a public park which has become such a big part of people’s lives there. It is such a clever idea and I love the idea of turning something old and unused into something that has added so much value in the community and people’s lives. It’s also really beautiful to visit. Where do you think the development industry will be five years from now? I think it will definitely shift more towards different types of apartment living, because of the urban lifestyle and shifting lifestyle needs towards activity zones, or inner city hubs. I think there will be more competition as well as overseas developers come into the Australian market, which would also result in more creativity and innovation within the industry, and will ultimately create better world-class products for the people. What or whom have you learned the most from? Captains of the industry and seeing and learning what they have done in the past, as well as gaining inspiration from projects in other parts of the world. I’ve also learned from business leaders and entrepreneurs in other industries, especially the younger leaders. Daniel and Justine Flynn of Thankyou Group are personal friends of ours and hearing their story again and again is always very inspiring to me, and gave us the confidence to start our own thing. Movies definitely, lots and lots of them! As well as travelling. What are three books that have either influenced you professionally or personally? What is a website or blog that you visit often? Dezeen, archdaily. I also follow various architecture/design related Instagram accounts and Pinterest. I also enjoy lifestyle sites like timeout and broadsheet to keep myself in the loop of what’s happening in Melbourne in the food/art/music scene, and knowing where the next new rooftop café or cinema is.